If you are a grandparent or aunt/uncle to my kids and are reading this……….STOP READING….IT’S FOR YOUR OWN GOOD! Now that we got that out-of-the-way (because let’s be honest none of them actually halted from reading, who would! 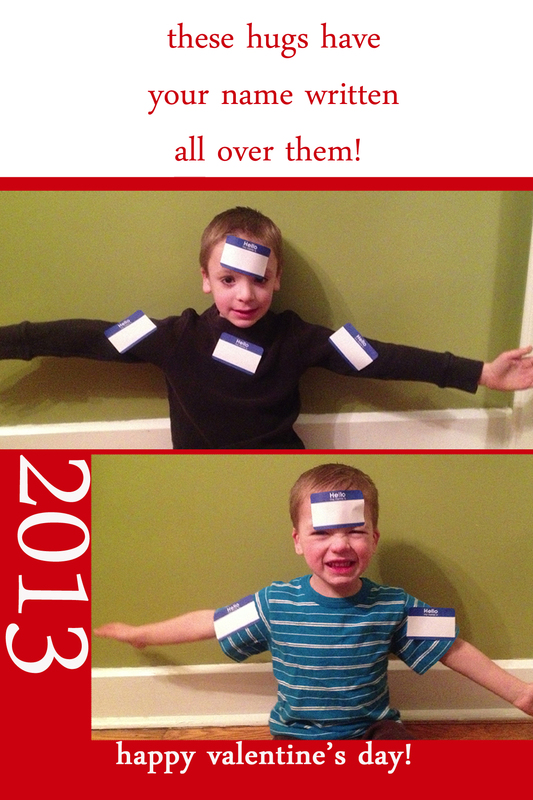 ), wanted to give you a sneak peek at the kids valentine’s this year. Charley needed one for school, so we created this one in Word, printed and then added a sucker…. 4. Added sucker, tossed in Charley’s schoolbag and called it done. 4. 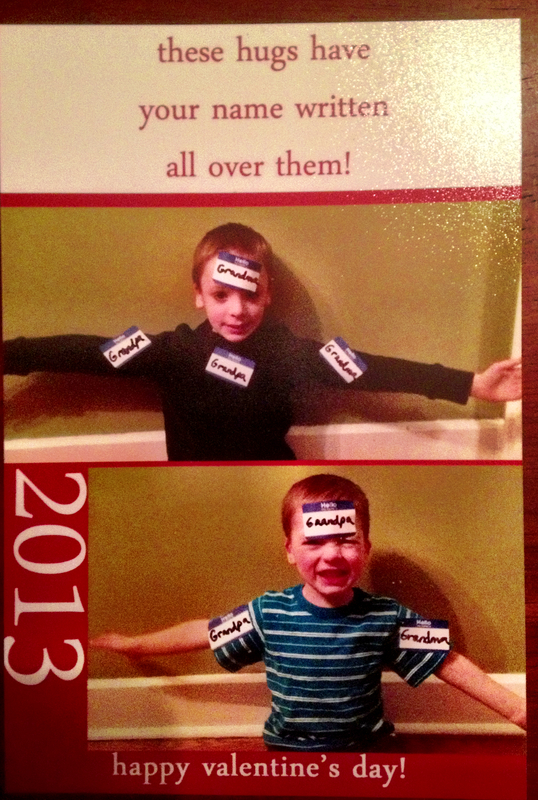 Once printed, individualized each one with the recipient’s name on each of the tags stuck to the boys. Next postSubway Art Dining Room Table! Those photo cards are seriously the most adorable things ever. What a great idea, and so personal for the recipient! Happy V Day!